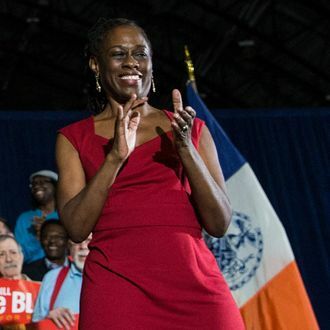 Mayor de Blasio has been open about his intention to have his wife serve as an adviser in his administration, and it looks like she might start work pretty soon. The New York Post reports that officials have been “scouting” office space and preparing “a portfolio of issues” for New York’s First Lady. Meanwhile, in more specific news, NY1 claims that McCray is considering hiring top Al Sharpton aide Rachel Noerdlinger, who has reportedly been assisting her with the transition, as her chief of staff.